audio speakers, tape recorder, audio tape on extended tape loop, electronic light beam. 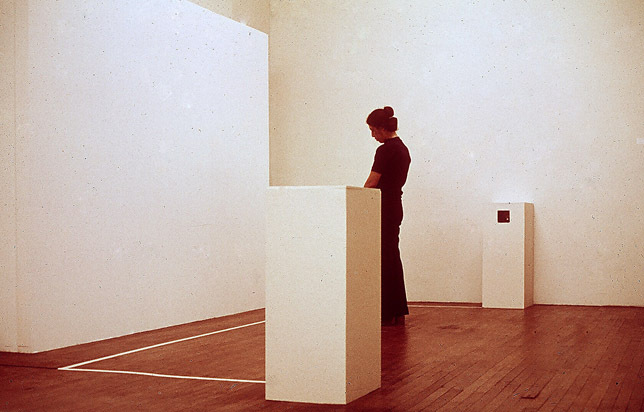 A line made of sound (a human voice saying: every time I think I'm alright something hits me again so every time I think I'm alright I remember that I might not be) is drawn across the wall surface in response to the approach of a viewer. 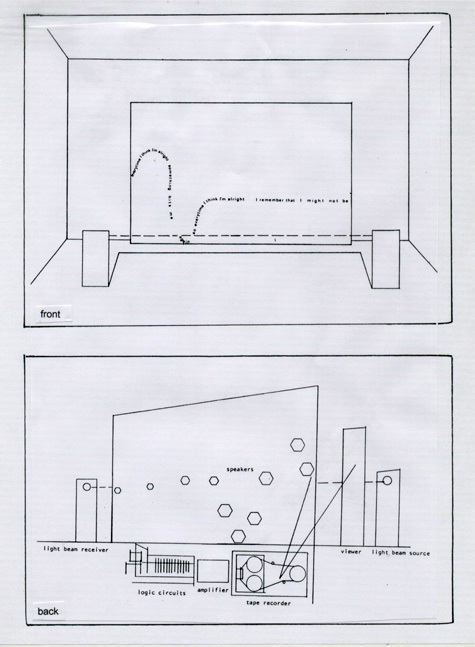 The voice line repeats when the viewer, acting as an object in the drawing, moves around the given space, crossing the light beam (a straight line which runs parallel to the surface provided for the voice line.